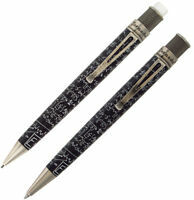 RETRO 51 ALBERT EINSTEIN TORNADO VINTAGEMETALSMITH ROLLERBALL PEN NEW!! 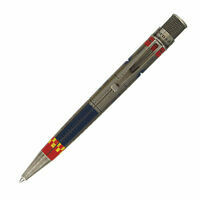 Details about RETRO 51 BETSY AMERICAN FLAG TORNADO VINTAGEMETALSMITH ROLLERBALL PEN NEW!! RETRO 51 BETSY AMERICAN FLAG TORNADO VINTAGEMETALSMITH ROLLERBALL PEN NEW!! Retro 51 products are always worth the price. Recommended! I enjoy patriotic themes and this pen really delivers. Plus its a very nice pen. Good price for original item. Only one problem. The cartridge leaked.